Plenty has changed that makes the Apple Watch Series 2 a more serious fitness wearable. There's GPS, a better battery life, enhanced run-tracking and water-proofing for a kick off. But at the heart of this much-improved device, one thing has remained the same – the colourful Activity rings that keep tabs on your daily activity and aims to motive you to move more throughout the day. If you're an Apple Watch owner you'll be familiar with the red (or pink if you like), green and blue rings that act as real-time reminders of how healthy you're being at any given moment. 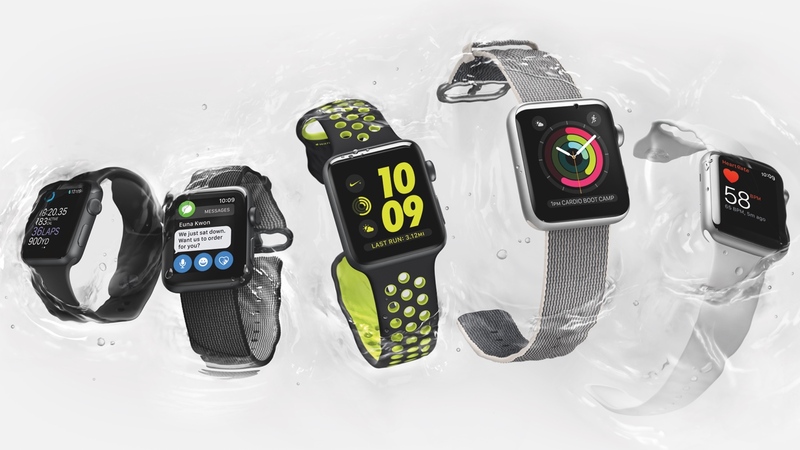 And these are still very much at the centre of the Apple fitness universe for the Watch Series 2. The smartwatch still uses the built-in heart rate monitor and motion sensors toworkout how many calories you've burned from activity.You're still challenged to close the green circle by doing the government's recommended 30 minutes of exercise per day. And you can still see if you're getting out of your chair enough by using the blue Stand circle to track your progress towards a ring-closing target of 12 hourly 1 minute standing sessions in a day. In order to close the Move ring it's essential that you've done some form of strenuous exercise beyond walking around and generally being alive. The Watch Series 2 uses your heart rate and movement to calculate the active calorie stats that make up the Move rings. This includes data captured using the Workout app and other third party fitness tracking apps. It's all fairly standard stuff. Fitbit, Jawbone, Garmin and Polar, and every fitness tracker worth its salt, will tell you these things in one way or another. But what does make the Apple Watch stand out is the way the stats are presented and how you can now share them with friends and family. The new sharing function in the Activity app in watchOS 3 lets you see in real-time on your Watch or iPhone, how a friend's day is going (provided they've agreed to share their data with you and vice versa). And boy is it revealing. Take a peek at anyone's rings (stop it!) and it's amazing what you can detect about their daily approach to fitness and their lifestyle. And you don't need to be an expert to do it either. Here's what your Apple Activity Rings might be revealing about you. Every day you close your green Exercise ring, sometimes it even completes two full circles. Likewise your red Move loop regularly busts past its target. Unfortunately, your sad little blue Stand ring rarely ends up complete. If that sounds familiar, the chances are you're a one workout cardio warrior. You make an appointment to workout for an hour at the gym, go for run, do a spin class or perhaps cycle to work. But then you spend much of the rest of the day tied to a desk, hardly getting up and probably even eating lunch over your keyboard. If you're often failing to complete your Exercise and Move rings but you're regularly logging your targeted number of Stands then there's a good chance you're someone who drives to work, works long hours and finds it hard to make time for that appointment workout the One-Workout Warrior enjoys. It's possible to close this ring and complete your 30 mins without really doing any 'proper' exercise. And by that we mean getting a sweat on. Apple defines exercise as any activity you perform that is the equivalent of a brisk walk or more. To calculate your whether you're 'exercising', the Watch uses your heart rate and movement data. It also learns your levels, so if you're someone who regularly easily hits the target it should keep asking you to do increasingly more vigorous activity to hit your goal. the morning and evening walk to the train or the office that many people get, while the lack of Move suggests you're not in the habit of regular fitness sessions. Good for you on the busting through the blue though, that means you at least make a point of getting out of your seat a lot during the day, even though you never stray too far from your desk. Every day your red, blue and green loops aren't just closed they're doubled up. You are Lord of the Rings. The Ringmaster. Ringo Starr. You're also 99 per cent likely to be we like to call an Everyday Athlete. You run to the gym in the morning for your weights session, you work at a standing desk and hit the water cooler every hour to rehydrate. You yoga at lunch and cycle home. You're a fast-walking, stair-climbing fitness machine. Well done you. If your Watch is showing more blue than red and green, anyone looking at your data would be forced to come to one logical conclusion: You've not moved off the sofa (or out of bed all day), so you're either sick, lazy or hungover. The only time you've logged any signs of life at all are the occasional times you've stood up, probably to move yourself from bed to sofa, to get water, or to grab a takeaway menu out of your takeaway menu filing cabinet aka that kitchen drawer where all the random stuff gets shoved. And don't think you can get away with pretending you're at work and you've forgotten your watch because those cheeky couple of Stands you clocked at 10.15am and 4.27pm reveal otherwise. It's possible to complete your Stand target without hitting Move and Exercise. One slightly confusing thing about the Stand metric is the name. You actually earn a Stand, not just by standing up, but by moving around for 60 seconds or more during any given hour. The Watch's accelerometer picks up your movement and can tell when you up and moving sufficiently to clock a Stand notch. Unlike Captain Hangover, if your rings are empty and showing no signs of life at all whatsoever, you're either dead or you've left your phone and your watch on the bedside table where they were both charging overnight. Your friends who you're sharing your data with don't call the emergency services, not because they don't care, but because they know you've left your stuff at home. How? Because they've all done it too. Still, silly you. Which Apple Watch user are you based on your Activity rings? Let us know in the comments.